If you want a mountain getaway, this is it!!! Pisgah Preserve at Lake James is a 460 acre gated community designed with preservation in mind.This community has over 120 acres dedicated to open space and miles of walking trails.Now the best part; the Pisgah National Forest joins the boundary of this community.Hunt, hike, or fish on the half million acres of National Forest or just live the mountain lifestyle. 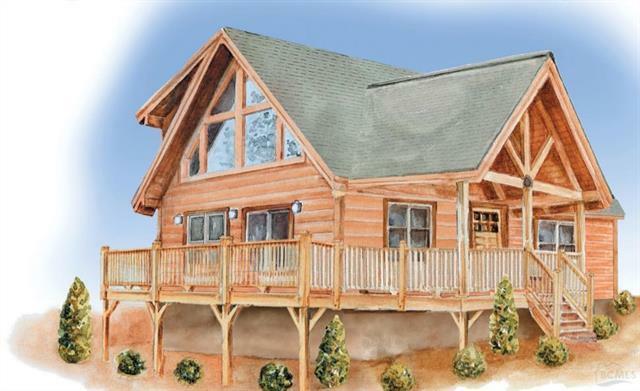 Pisgah Preserve at Lake James is a rustic home community just minutes from Lake James. Public boat launch, marina, restaurant and the new 3000-acre Paddy's Creek State Park make this area the perfect retreat. We are offering a Land and Home package (Turn-Key including well and septic) for the listed price.The home being offered called "The Laurel".It's a 1403 square ft home with two master bedrooms and two and a half baths built on a crawl space. Upgrades to the square footage, design, and adding a basement to the home are welcomed. Some limitations to well and septic are in place.